Every health system tells us the same story about physician turnover: they’ve invested outrageous amounts of money recruiting physicians and buying medical practices. Then, when physicians leave, the health system leaders are surprised and start the whole process over again. One CMO expressed his desire to take a different approach to hiring and retaining employees, but once a physician leaves, the reaction of leadership is to ignore the reasons why and run right back out to start the same recruiting process again. No one looks at the cause of the problem or the financial implications of this cycle. They are too focused on rushing to fill the spot again. Recruiting costs, which are $40,000 per position on the low end, when you consider advertising, administrative time, recruiting fees, and interview costs. Revenue lost while the position is open. A primary care physician can generate over $1 million annually, and certain specialty physicians can multiply this number. 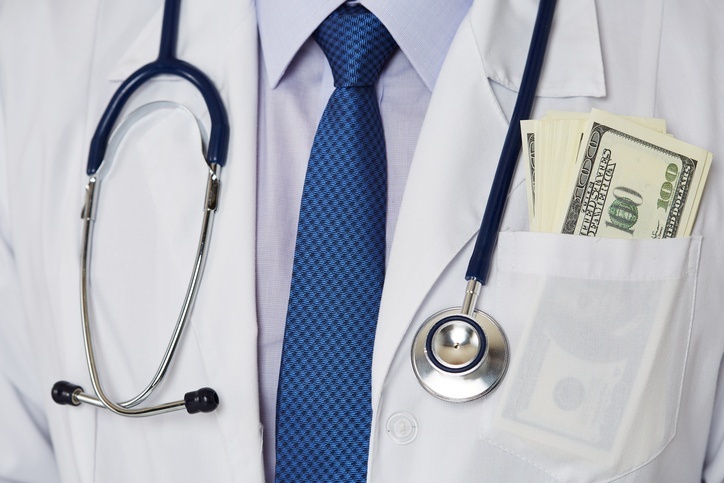 Onboarding, credentialing, and training costs for new physicians. Decreased productivity and revenue while a new physician’s practice gets back on its feet. The impact on patient satisfaction, continuity of quality improvement initiatives, and the impact on other providers and referral patterns are all immeasurable effects. The New England Journal of Medicine Career Center points out a few other interesting turnover observations. Within the first five years, 54% of physicians leave their practice. Motivational and cultural fit is a cause of turnover in physicians - the most common reasons for leaving are “practice issues,” disappointment over broken promises about patient volume, and administrative support. They also note that only 27% of physicians report that their group has a written or formal retention plan. It is insanely expensive to take a short-sighted approach to physician recruiting, selection, and retention. Yet, this is what most organizations do. 1. Take A More Deliberate Approach to Selection. More systems are incorporating a more deliberate approach to the physician interview and using physician-specific behavioral assessments to evaluate candidates. This helps to avoid a physician who is simply a bad cultural fit and helps set realistic performance expectations. 2. Position Physicians for “Operational” Success. Leaving for “practice issues” often means the situation wasn’t suited to let the physician achieve his or her goals. This can be avoided by understanding those goals in the first place and putting a plan in place to achieve them. This eliminates the mismatch between the respective expectations. 3. The Work Doesn’t End When the Contract is Signed. Physician alignment is an ongoing effort as is development. Executives have development plans to help them succeed. You’ve invested enough in each physician that they deserve a similar plan. Consider the last physician you brought in that didn’t work out because of his personality or behavior or their expectations simply didn’t fit your organization. What would you have given to know this before making the offer? In other industries, we appreciate the cost of this cycle of recruiting, failure, recruiting, failure, etc. What are you doing to make sure these assets aren’t being wasted?